Bangladesh Agricultural Research Institute (BARI) an autonomous organisation under the Ministry of agriculture, responsible for conducting research on all crops except rice, jute, sugarcane, and tea for which there are separate institutes. It was established in 1908 as Agricultural Research Laboratory, Bengal at Dhaka. The laboratory was under the Bengal Department of Agriculture which was created in 1906. After the partition of India in 1947, the Bengal Department of Agriculture became the East Pakistan Department of Agriculture with two wings, one for research and the other for extension. The laboratory formed the research wing. In 1968, the Department of Agriculture was bifurcated into two separate directorates, namely, the Directorate of Agriculture (Extension and Management), and the Directorate of Agriculture (Research and Education). 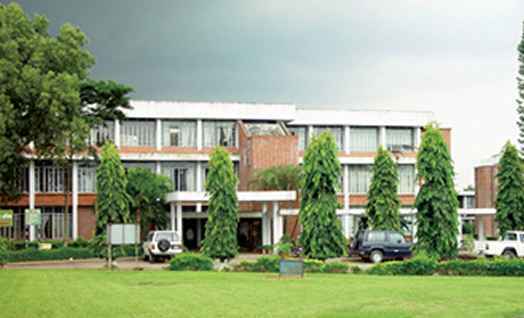 The latter was converted to Bangladesh Agricultural Research Institute (BARI) in 1976. During the early sixties, BARI was shifted to Joydebpur to allow rebuilding of its research facilities. The shifting was completed in 1980. The original laboratory buildings constructed in 1908 and located on Khamar Road near Farmgate in Dhaka, now house several other offices. The research farm of the original laboratory covered an area of about 182 ha. In addition to the central station of Joydebpur (area: 165 ha), BARI has six regional stations and 24 sub stations. The institute has six crop-based research centres (Tuber Crops Research Centre, wheat research centre, Horticultural Research Centre, Pulse Research Centre, Oil Crops Research Centre, Spice Research Centre) to ensure a multi-disciplinary approach. The number of mandated crop in these centres exceeds 100; variety improvement and production have received priority. It has made good contribution towards the development of wheat, potato, mustard and vegetables. The institute has released 172 improved varieties of different crops. It also has the following original discipline-based research divisions: Agronomy, Soil Science, Entomology, Plant Pathology, Agricultural Economics, Farm Machinery and Process Engineering, Irrigation and Water Management, Plant Breeding, Postharvest Technology, and On-Farm Research. BARI had three constituent agricultural colleges, namely, Bangladesh Agricultural Institute, Patuakhali Agricultural College and Haji Mohammad Danesh Agricultural College, all affiliated to the bangladesh agricultural university, Mymensingh. Recently all the three institutes have been made science and technology universities and put under Ministry of Agriculture. The overall management of the institute is vested on a 12-member Board of Management. The chief executive of the institute is the Director General. Three Directors who are specifically responsible for three main areas of activities, namely, research, support services, and training and communication, assist him. BARI collaborates actively in research with several national and international organisations.